Olsen Graphics / Gallery & Gifts is your source for INVITATIONS and SOCIAL STATIONERY, WEDDING ACCESSORIES FOR THE CEREMONY and RECEPTION, THANK YOU CARDS, ATTENDANTS' GIFTS, AND SO MUCH MORE.. Please go to our information pages and albums! Stop in our store for more ideas and for assistance. 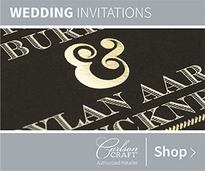 SHOP ONLINE FOR WEDDING INVITATIONS FOR YOUR SPECIAL DAY! 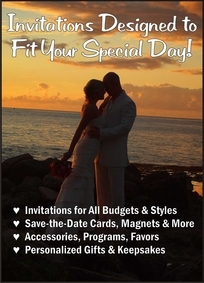 SHOP ONLINE FOR MORE WEDDING INVITATIONS FOR YOUR SPECIAL DAY! 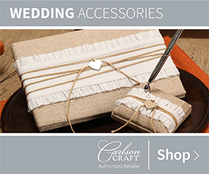 SHOP FOR ACCESSORIES FOR YOUR SPECIAL DAY! UPLOAD YOUR PHOTOS, DESIGN YOUR GIFTS AND ORDER ONLINE!